ENPAC’s Wheeled Overpacks® are the first mobile one-piece overpacks on wheels. A Salvage Drum and dolly all in one, they eliminate the need for a separate dolly for transportation. 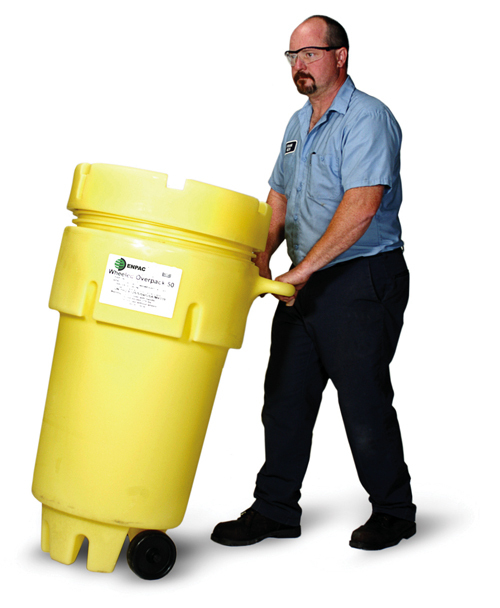 The 50-gallon polyethylene UN rated Salvage Drums have the built-in handles and 6” Polyolefin wheels, that allow for easy steering through doorways or around any obstacle. They are also ideal for Spill Kits.